Dr. Lin was one of fourteen experts convened by the National Institute of Environmental Health Sciences to review the National Toxicology Program’s cell phone radiation study in March of this year. He is a professor of electrical engineering, bioengineering, physiology, and biophysics at the University of Illinois, Chicago. His https://www.ece.uic.edu/~lin/publications.pdf publications include ten books, hundreds of papers and book chapters, and he has made hundreds of presentations at professional conferences. He has served on the editorial board of fifteen professional journals and has received numerous https://www.ece.uic.edu/~lin/ awards and honors throughout his distinguished career. For yourself or friends and family, after all the Christmas goodies are gone, give the Gift of Knowledge. Saharasia proves in exacting detail how the human disaster of Emotional Armoring began, 6000+ years ago, and how over the long haul, it can be reversed. 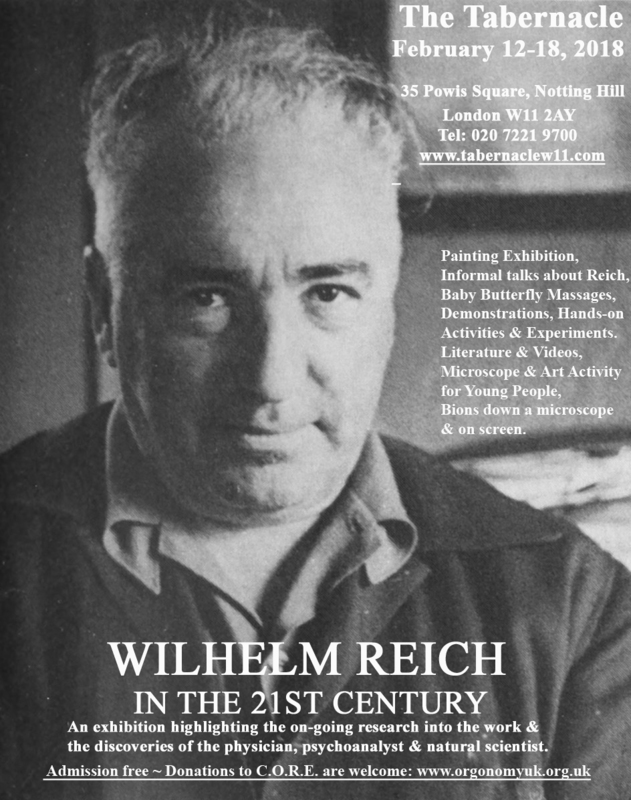 Based upon Wilhelm Reich’s discoveries, scientifically proving the global validity of his theory of human behavior, that social violence and war are fundamentally rooted in child abuse and sexual repression. Saharasia also documents the very largest global climate change to have occurred since the end of the Pleistocene Ice Age, the great drying-up event which created the massive Saharasian Desert Belt. This major climate-shift created havoc within emerging human societies, converting their garden-like peaceful existence into hyperarid desert conditions of social violence and war. Passed on through generations of violence-created and violence-creating social institutions, the consequences of that ancient disaster can still be identified in contemporary human culture and geography. 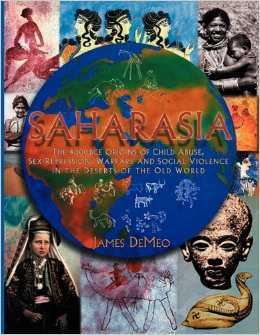 Periodically I offer my large book Saharasia for a low price for both USA and international destinations, to clear out space in our storage room. 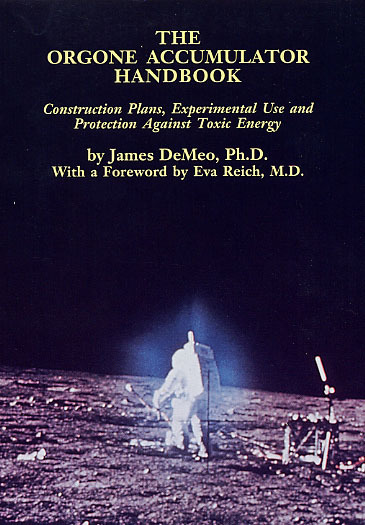 We are now offering it for $12.95 per copy, plus a small shipping charge for anywhere in the USA (+$3.24). That is less than half the usual price of $34 as sold at our website, or $39 as sold on Amazon even if you qualify for their free-shipping option. For international destinations shipping charges will have to be quoted and paid separately, after your order is placed, as our shopping cart system cannot calculate that. International shipping should be something around $12 or higher, which still beats the usual Amazon price. We use the PayPal cart system, which accepts any credit card, whether you are a PayPal member or not. 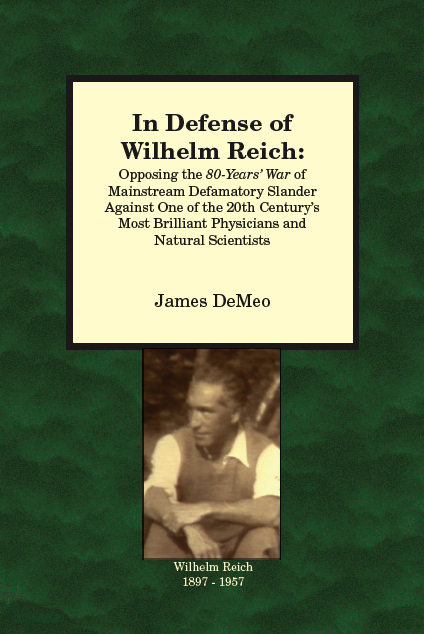 Look on the left-side column, it will be listed just below the Reich books. We also offer this book in larger quantities at the same price, with a special shipping quote, so booksellers or those wishing to give the gift of knowledge can use this as an opportunity to stock up. 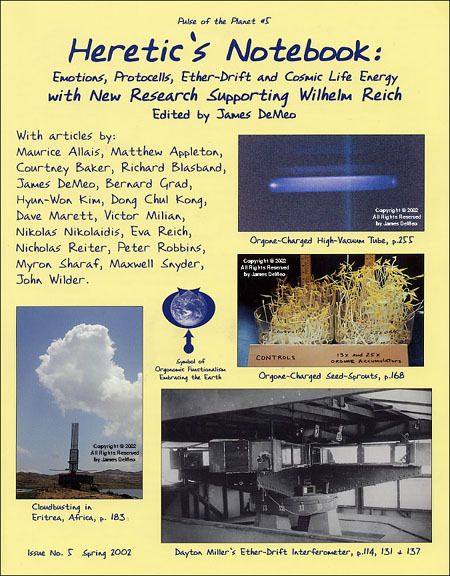 Author of Saharasia and other books on scientific and historical orgonomy. 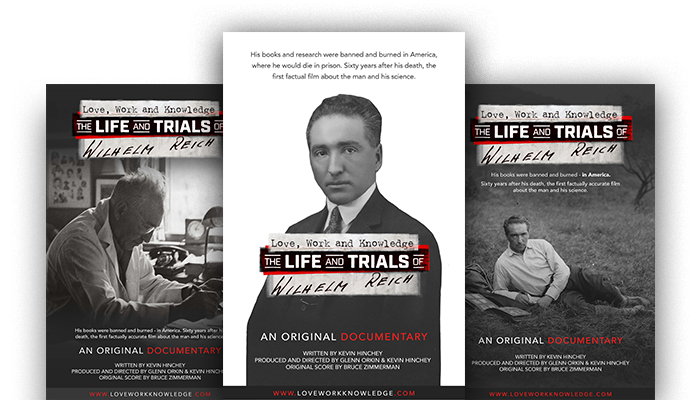 New Film: "Love, Work and Knowledge: The Life and Trials of Wilhelm Reich"
The new film on Wilhelm Reich, "Love, Work and Knowledge: The Life and Trials of Wilhelm Reich", directed by Kevin Hinchey, was given a premier showing in New York City yesterday evening. 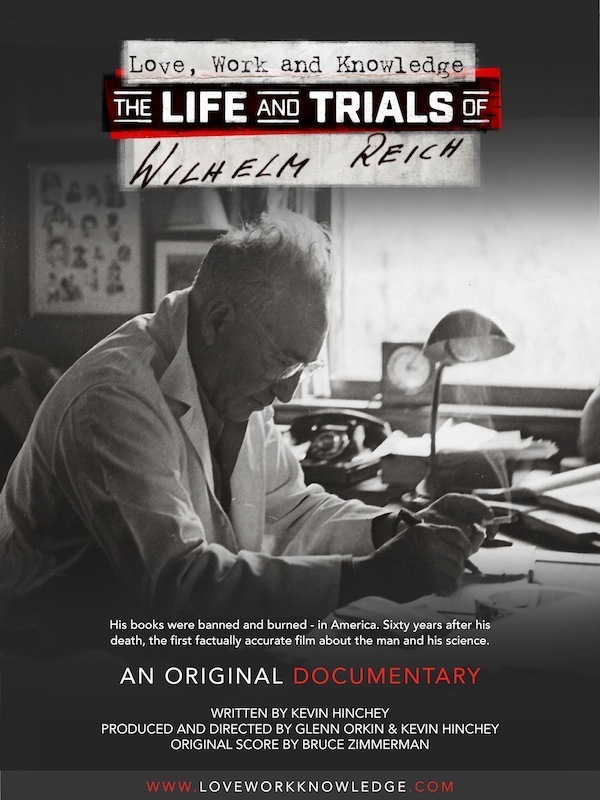 By all accounts it is an excellent film, the first to stay true to Reich, and to correct the numerous errors, falsehoods and slanders which litter prior films about the man. The event was reserved for those who had donated time and money to the development of the film. I wasn’t able to personally attend, but already am getting very positive reviews from friends who did. Over the next months it will be shown in other cities, theaters and universities, film festivals and so forth, with an eventual DVD / streaming version. Info will be posted here as it comes available. At some point in the hopefully near future, I’ll get to see it for myself, and write up a film review. Congratulations to Kevin Hinchey, for what surely has been several long years of hard work. 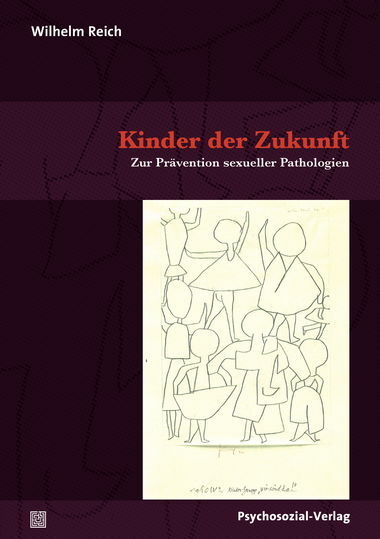 Dieser Titel ist im Dezember 2017 erschienen.